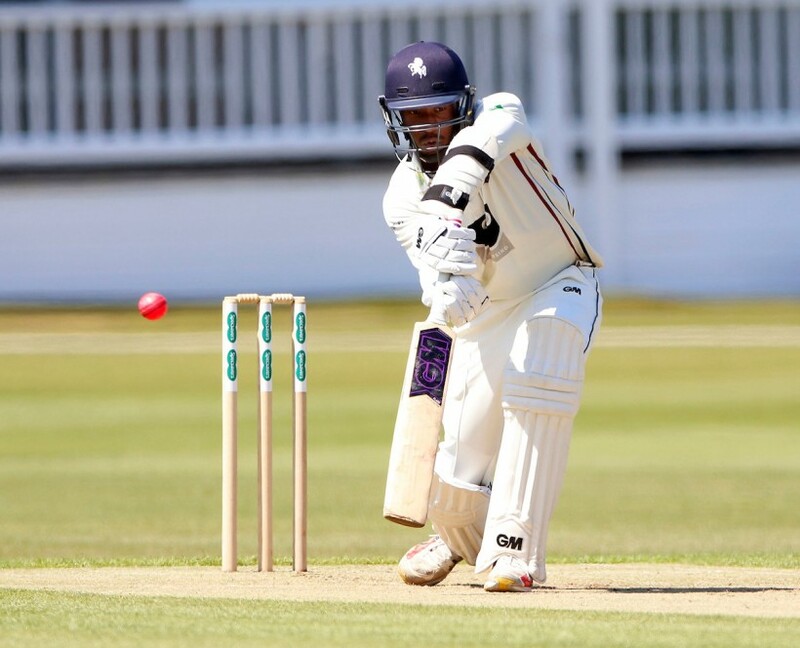 Kent’s popular opening batsman Daniel Bell-Drummond scored a century in each innings of the Second XI Championship win against Surrey at New Malden this week in a welcome return to batting form, writes Peter Burrowes. He scored 119 with 20 boundaries in the first innings and then hit 101 with 13 fours in the second in a 190 first wicket partnership with Zak Crawley who also scored a century 104, also with 13 boundaries. Daniel has amassed 292 runs with a top score of 61 in red-ball cricket but he has always been confident that he can get runs in all forms of the game. The 25-year-old Kent Cricket Academy graduate said: “I have always had confidence in my own ability but I have not been able to build any big innings in championship cricket this season. The teams in this match were playing with a Duke ball, the same as is used in first team four-day games, instead of the normal Tiflex ball so it was the perfect situation for Daniel, made his centuries all the better. Kent all-rounder Will Gidman, who has been coaching at the club since announcing his retirement as a player said he was delighted for Daniel and was full of praise for his efforts. Daniel also bowled 10 overs of his medium pace bowling in the match and took a wicket in the Surrey first innings. He is enjoying developing his bowling and in fact heads the county bowling averages at this stage in the season. In the championship he has bowled five overs with three maidens and taken two wickets for three runs. A bowling star of the future?